I noticed something interesting while I was fueling up at the gas station this morning. 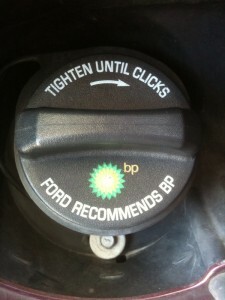 This is a picture of the gas cap from my 2006 Ford Explorer. Notice anything that seems out of place here?